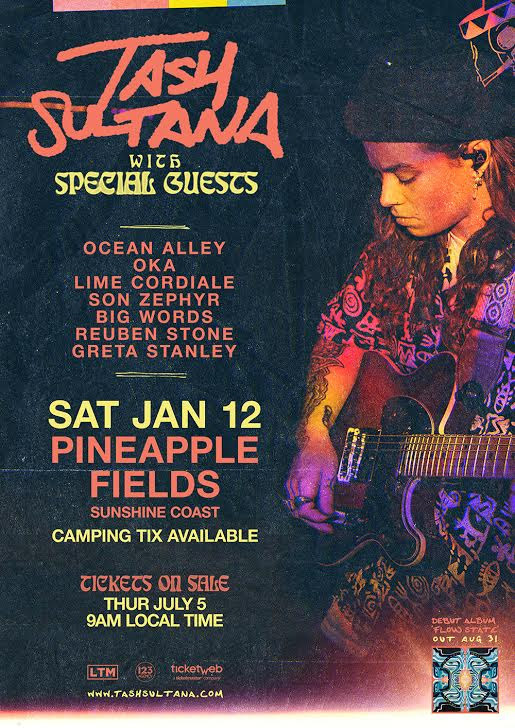 Tash Sultana has announced a special one off Australian headline show at Pineapple Fields on the Sunshine Coast as part of the ‘Flow State World Tour‘. Joining Tash for this special outdoor camping event is a mega line up including Ocean Alley, Oka, Lime Cordiale, Son Zephyr, Big Words, Reuben Stone and Greta Stanley. Pre sale tickets are on sale now via Tash Sultanas fan club! The one-person powerhouse started out playing open mic nights on a fake id and busking on the streets of Melbourne. 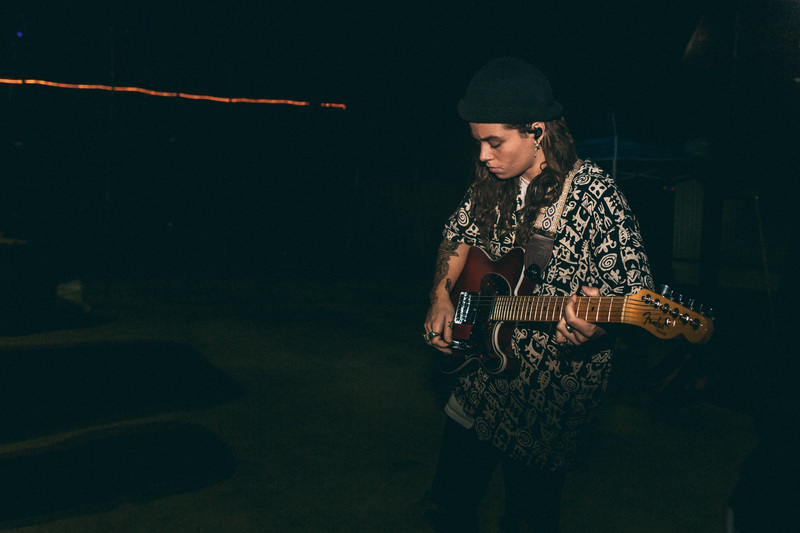 Now Tash is selling out every headline show, from theatres to arenas across multiple countries and playing dozens of high profile festivals around the globe. This will be the first headline show in over a year on Australian soil & Tash is playing a full 2 hour set. 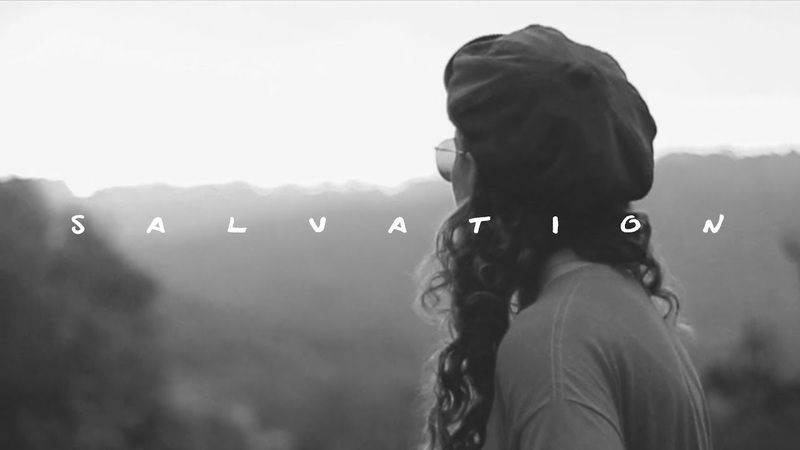 Recent accolades include over 200M streams of the Notion EP, topping the iTunes chart in multiple countries, ‘Jungle’ coming in at #3 in triple j’s Hottest 100, achieving gold sales for the Notion EP and platinum sales for single ‘Jungle’ which also featured in FIFA 18, winning the prestigious unearthed j award, 4x Aria award nominations, multipleAPRA nominations and most recently playing a stand out set at Coachella &Lollapalooza 2018. 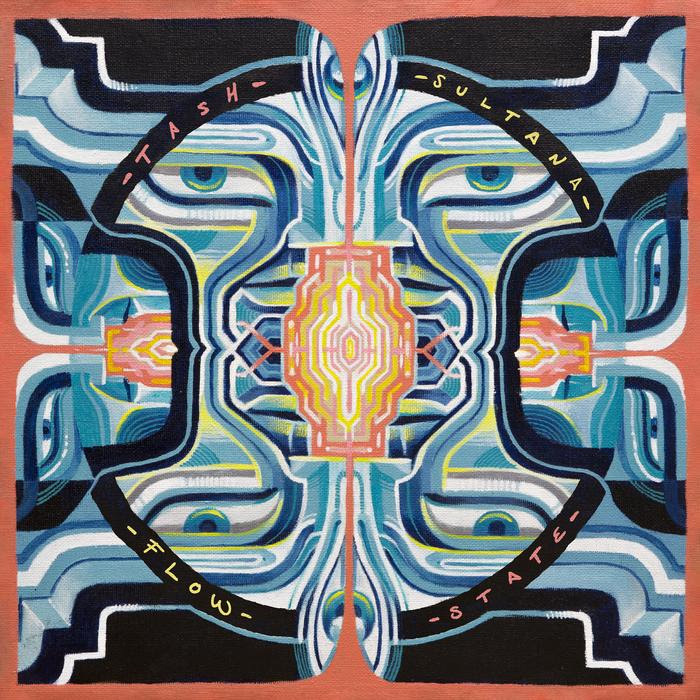 Flow State is out on August 31st.